Yes this is the real deal. A must have that was limited to 500 copies worldwide. 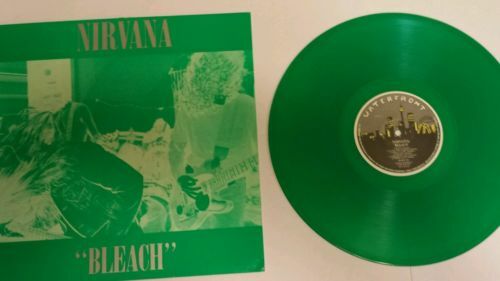 NIRVANA "BLEACH" 1992 AUSTRALIAN TOUR EDITION. The album is on green vinyl and includes the cloth tour bag as well as the poster. This album has never been played by me, only adored and shown to some close friends who appreciate the rarity of this piece of Rock n Roll history. CHECK OUT MY OTHER NIRVANA LISTINGS!! !